Captains » Thoughts » Marketing Tips & Strategies » Remember, you’re always talking to one little buckaroo. 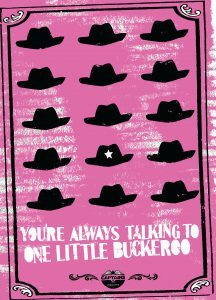 Remember, you’re always talking to one little buckaroo. 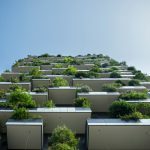 When Fred Rogers of “Mr. Rogers” fame was starting out, he asked children’s TV cowboy show personality Gabby Hayes how he managed to create a personal connection with children even when he was speaking to millions of them at the same time. He responded by saying that he always remembered that he was really just talking to one little buckaroo. Think about this. Too often, when people speak in public, they say things like “I’m sure all of you are wondering…” But there is no all of me, there is only me. So we have to start by understanding that while our message may have to appeal to millions of people, it does so one person at a time. 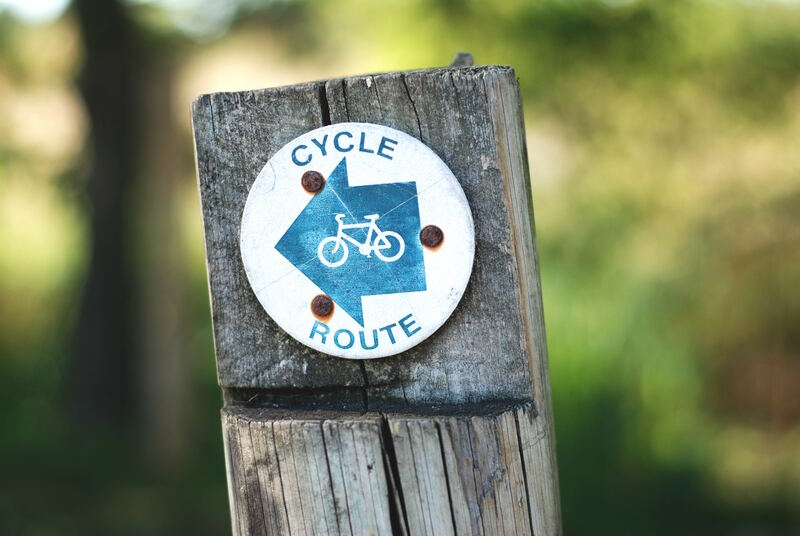 Which means your message needs to be very direct and tailored to a specific audience mindset. Part of achieving this kind of directness is stylistic. In a speech, or TV appearance, looking directly at the person you’re addressing (like Mr. Rogers did) goes a long way towards building trust and establishing a personal connection. It’s not a coincidence that the idea of “being evasive” is used to describe someone who’s hiding the truth—they’re literally looking away, or using complicated phrases that evade understanding. Another way to talk with just one buckaroo is to speak and write to them based on a deep understanding of where they are. Usually the “where they are” aspect is about someone’s belief system,which I’ll address in detail in a later post. But it can even be where they are physically. 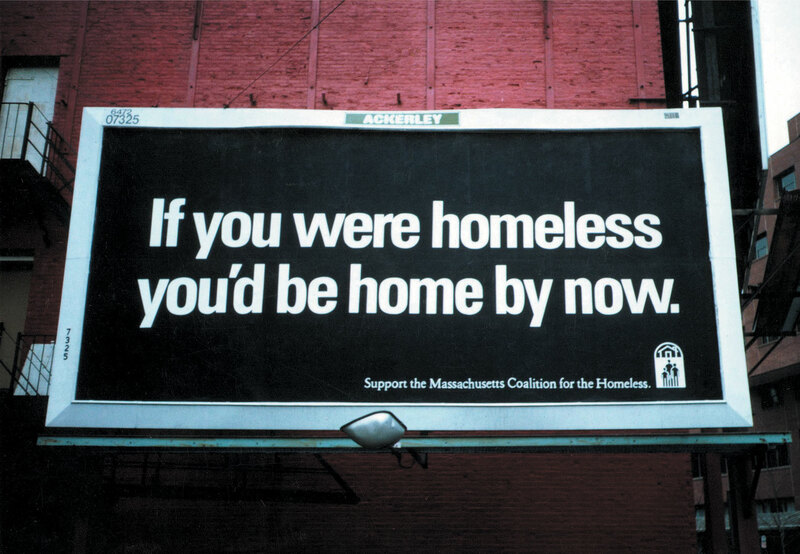 For example, this billboard Captains made for the Massachusetts Coalition for the Homeless, with the headline “If you were homeless you’d be home by now,” stopped people in their tracks because they felt, in a visceral way, what it must be like to live out on the streets. In this case the second person pronoun—YOU—lent an added level of directness to the message. 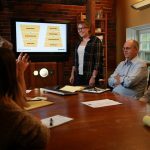 Of course, talking with one little buckaroo is only effective when it’s combined with other key aspects of the messaging craft—like the power of surprise. For more on this, stay tuned for my next post. 2018 © Captains of Industry is a registered trademark. All Rights Reserved.